NetBizCity - Will Windows 10 Redeem Microsoft? Will Windows 10 Redeem Microsoft? Windows 10 has been released this year and to most people's surprise it is free to upgrade all the way down from Windows 7! Microsoft is hurting big time. 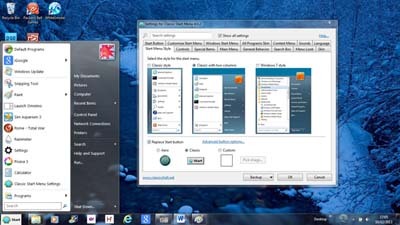 The new version addresses the features that PC users demand to have. These were the features that Microsoft decided to junk in favor of targeting Tablets for Windows 8. The problem is the PC is king but the people running Microsoft seemed to have forgotten it. So now we have Windows 10 and Microsoft is telling us how sorry they are for forsaking us PC users by giving us a free upgrade. There is an old saying in the US that goes like this - Three Strikes and you’re Out! So will the free upgrade be enough to redeem Microsoft? I think it will as it is better than Win 7 in some ways such as faster starting and faster shut down and is the solution for Wundows 8 which was a major mistake. It also has DirectX 12 which many existing games that were written to support DirectX 11 will not be able to run at all on Windows 10 until a patch is available. Do not go by the Games list given here as they were tested on a pre release of Windows which did not have DirectX 12. If you look at the list it contains games that require DirectX 11 to run and the final version of Windows 10 was released with DirectX 12. Now on to the positives and negatives of Windows 10. What we have is a faster OS with better start up and shut down time than prior versions. I have not found any application that ran into problems with this new OS. Other than games it seems that if it worked on Win 7 then it will work on Win 10 also. Upgrades have been improved both in the way they are administered and the way they are applied. Hard drive checking has changed as now you will see error checking under tools for properties of a drive. If you click it will tell you don't need to scan this drive as Windows has not found any errors on it. This is due to ReFs which was introduced with Win 8 where disk checking is now done by windows automatically. Last is Microsoft Edge which is a much better browser than Internet Explorer. You may find some websites will not work with Edge and to solve this problem there is a link in the menu to open the page with Internet Explorer. Microsoft has provided both browsers with Windows 10. The upgrade from Win7 or Win 8 is flawless. On the downside we have a start menu that is horrible. Microsoft has given us a one dimensional menu that is so backwards I find it hard to believe this is part of the I'm sorry gift! The best solution is to install the Classic Start Menu which is a free download at Classic Shell. If you like Card Games you will face another problem. They now want you to login to play them! My guess is they want a new way to throw ads at you or worse they want a better profile of you! 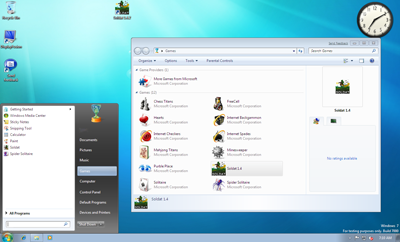 The standard control panel is still available to use but we have a mish mosh mix of Win 8 ideas along with Win 7. So you have the new settings screen and the control panel screen. I can't see why they came up with this settings screen as it's ten times more work to get to what I want. Having installed it on my PC I find I can live with the problems of this still backwards OS. I did how ever had one problem which was the calendar did not work. Turned out I had to remove a entry in the registry in order for it to function. The solution was found here at answers.microsoft.com and I believe it's an upgrade problem which will not show in fresh installs and also not in all upgrades. Had Microsoft not come up with Windows 10 I would have moved to Linux. Open source has advantages as the products much better reflect what the users want rather than what some CEO wants. If you are still using Windows XP you will find that Internet Explorer no longer works with most websites. This is due to it being limited to version 8 which forced XP users to switch to Firefox or Chrome Browsers. This same problem will take place with Windows 7. The way Microsoft forces you to upgrade is they don't offer newer versions of the web browser or DirectX to the older operating systems. So we can expect Internet Explorer 11 will not be able to view many websites in the future. For this reason I think upgrading is something that you have to do. If you use your PC for games then I would check if your games you like will run on Win 10 and wait if they don't. The main factor is if your current game requires a specific version of DirectX. My guess is most game companies will have a patch for older games as pressure for DirectX 12 will ramp up by users for both older games and new games. I have in the past been a Microsoft supporter where I find myself in an opposite position these days. In the past many were against Microsoft and I was for it. Today most are for it and I am starting to look for other solutions. I have been upgrading my PC and Windows since Windows version 2. In each case when I upgraded my PC I would move the Hard drives over to a new one or would restore the drive image to a new larger drive.